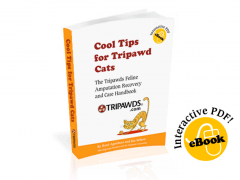 If your Tripawd dog or cat is (or was) coping with cancer metastasis, we hope you’ll take this brief Cancer Metastasis Survey for Tripawd dogs and cats. In this interesting fact-gathering mission we are attempting to identify where, when and how cancer metastasis typically presents itself after a cancer diagnosis as well as steps taken to deal with metastasis. The deadline for submitting responses is October 31, 2014. A big thanks to Tripawds Members Michelle and Allison who suggested this survey and created these questions. 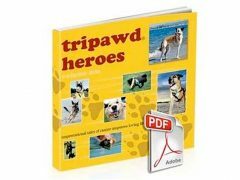 Contact us if you have any ideas for future Tripawds Community surveys. Great idea! Thanks! Just completed mine on behalf of Happy Hannah! Yes, thanks for gathering this info. Completed on behalf of Big Brown Billy! Hi Sally! We miss you and the rest of the triPAWd community. We should pop in every once in a while (haven’t much since losing Billy). The odds were never good against this cancer, but we tried. Aww thanks everypawdy for filling out the survey! Please spread the word, we hope to have more entries.